The essential information is well highlighted in this original resume. A great visual impact. 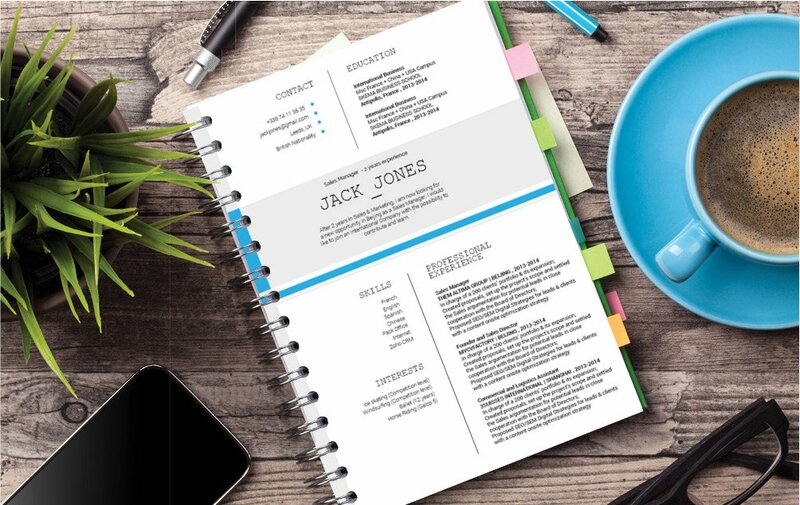 CV template to download "Tough"
Most certainly one of the best resume templates online--the Tough resume excellently showcases all your past work experience and educational background in clean chronological format. This resume is good for any job type that your apply to—since it has simple and modern design that easily presents all pertinent information in the resume. 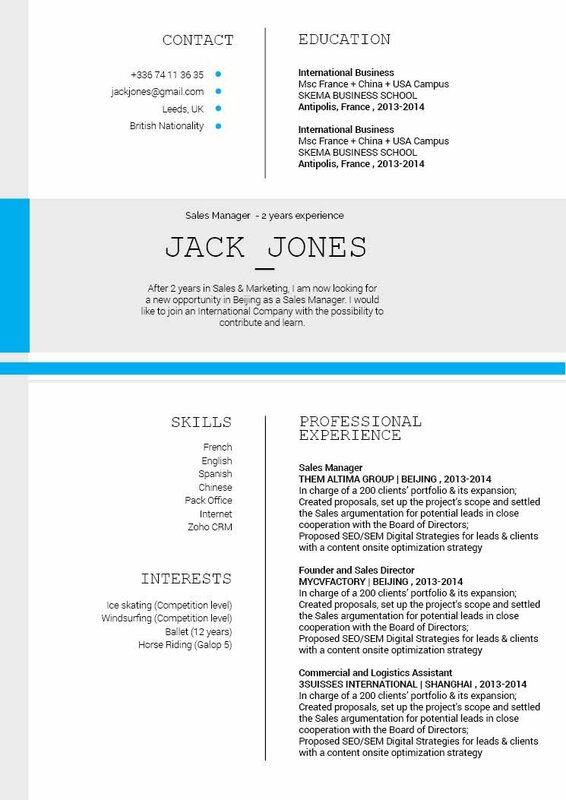 A well-laid-out resume that will surely get you that dream job! 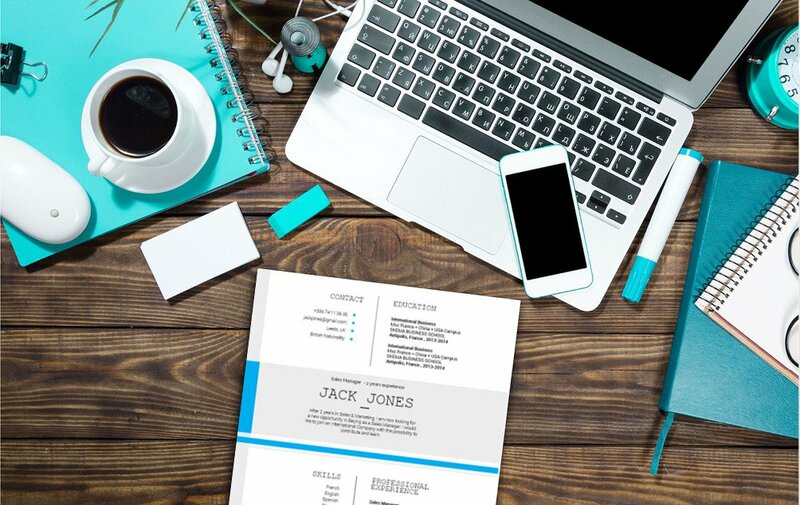 A decent approach to get the attention of your potential manager is by having a simple and clean resume format. 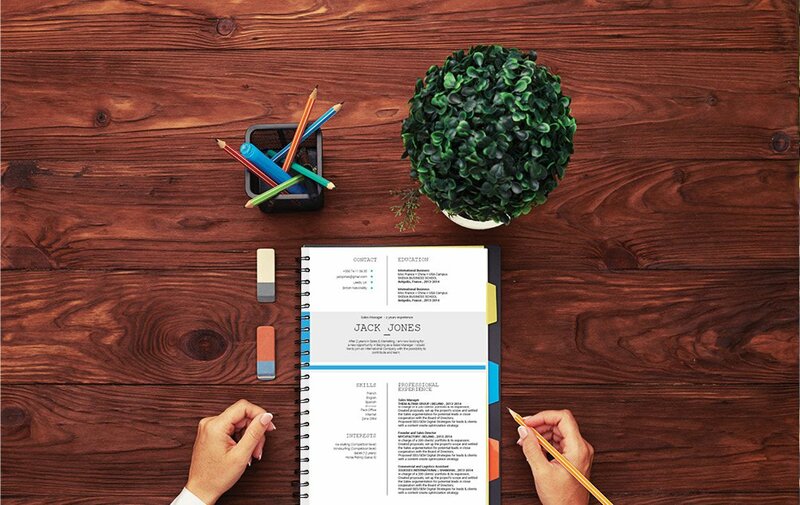 How you display your resume could mean the difference between you landing the position or not. A key element in composing a good resume is to its lay-out to be straightforward and effortlessly understandable. Typically, resumes are checked for around 20-30 seconds—It doesn't get fully read the first time! So it is imperative that within that small window your potential employer can notice all the important details of your resume. To do this, your resume must follow a logical format with the headings, sub-headings and spaces. Make good use of bold and italics to guide the reader's eyes to the parts of the resume needed to be emphasized.